In what appears to be a watershed moment for Apple’s iOS, a leaked memo published at AppleInsider indicates the one of the world’s largest energy companies, Haliburton, will be transitioning to the iPhone as its exclusive smartphone of choice. That comes as a huge opportunity for Apple and iOS, and a huge blow to RIM. According to the memo, the move will take place over the course of the next two years, but will be a complete transition from one platform to another with no plans to continues to support BlackBerry devices once the transition has been completed. Given the nature of some of Haliburton’s subsidiaries and the range of countries in which it operates, that statement speaks volumes for the level of security and management capabilities Apple has built into iOS, beginning with iOS 4 and continuing in iOS 5. With security being one of the biggest claims in favor of RIM over its competitors, this move illustrates the BlackBerry maker can no longer play that card to the extent it has in the past. 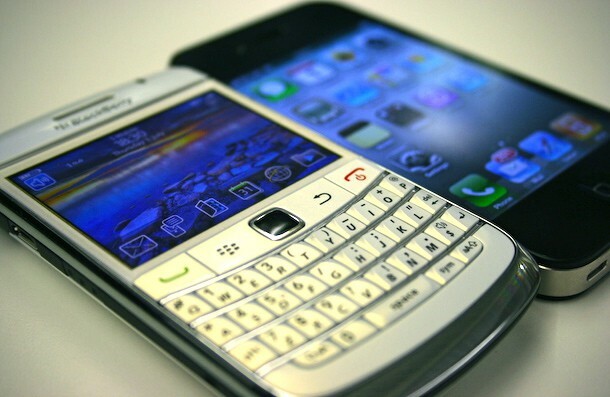 The move will, of course, impact RIM beyond the simple cost of devices as the company will most likely draw down its investment in BlackBerry Enterprise Server (BES) and RIM-specific service plans. The memo doesn’t discuss what device management Haliburton will transition to, but given the competition in the space, it’s unlikely to choose to continue to use RIM as a backend solution (the company has previously announced plans to roll iOS and Android management into its own device management tools but they haven’t bowled the business world over in terms of their capabilities).